Australian Davis Cup captains and players, past and present, fight for the survival of Davis Cup ahead of an historic vote to change the competition forever. Four generations of Australian Davis Cup captains and players have united to fight for the survival of Davis Cup ahead of an historic vote to change the competition forever. For many decades our players, coaches, officials, administrators and fans have passionately supported the Davis Cup and continue to do so. A group of legendary players and Davis Cup captains have registered their concerns. 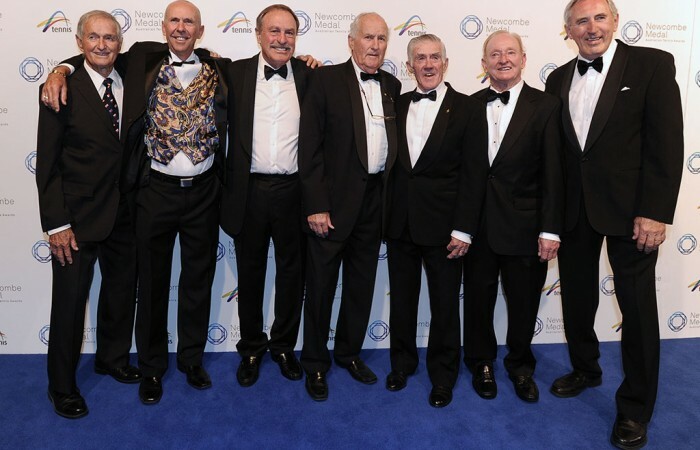 From current captain Lleyton Hewitt, to Neale Fraser who in 1973 captained Rod Laver, John Newcombe and Ken Rosewall, the greatest Davis Cup team in history, to Pat Rafter, John Fitzgerald, Wally Masur, Pat Cash and Todd Woodbridge. Tennis Australia wants reform for Davis Cup, but is against this proposal. It takes away too much of what makes the Davis Cup unique and special, especially the home and away aspect of the competition. 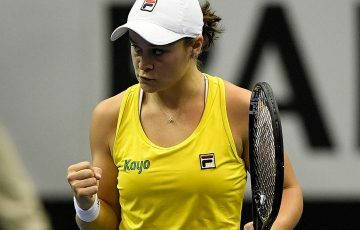 Tennis Australia will put the interest of the sport and players first and vote against the current proposal at the ITF AGM in the United States next week. “I am obviously totally against these changes to Davis Cup and pretty frustrated by what has occurred and the lack of information available. “The competition they suggest is not the Davis Cup. You can’t call this the Davis Cup. You can ask anyone for the past 50 years who has played the Davis Cup and they will tell you this proposal is not what it is about, nor what it should be about. “There are a lot of people, and a lot of current and former players, who are frustrated by it and see this as a money grab. It is a money deal. How can a billionaire come along and buy into one of the sport’s biggest events, most important events? It is all about money, not representing your country. It makes absolutely no sense. 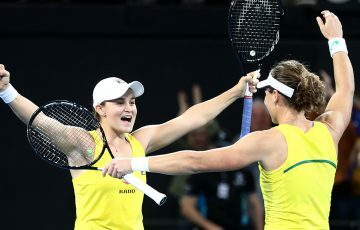 “The home and away fixture and the five-set battles are also part of what makes Davis Cup unique in tennis and sets it apart from the regular tour. Playing at home, or even away in front of a passionate partisan crowd is part of the reason we want to play. And this is what we’d be giving away. “Firstly, I’ve always been a huge proponent of the home and away aspect of Davis Cup – it’s great theatre and along with the slams, is the best men’s tennis you’ll see. Davis Cup is also gives nations the chance to showcase the game locally, particularly if they don’t have a sophisticated tournament schedule, and of course it’s a rare opportunity for players to represent their country. 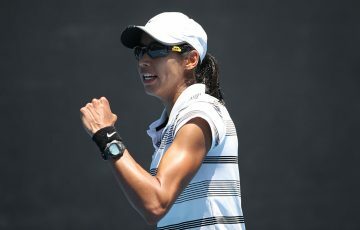 “I have recently been in discussions with Tennis Australia about the current proposal of the Davis Cup. As you may or may not be aware I was involved in a discussion with the Davis Cup captains in Paris about six years ago as both myself and Tennis Australia saw big issues and problems with Davis Cup. I was very upset with the President of the ITF at the time and his negligence of the old model of Davis Cup and its irrelevance and I couldn’t understand why the ITF didn’t see them either. “After my discussions with the head captains of most of the top nations I decided it was simply too hard and too much effort on my behalf to keep trying to make change. “Now it is rather ironic that the ITF has decided that change is necessary, but from what I am reading and hearing, it is still listening to the wrong people on how you make Davis Cup relevant again. “There are some great ideas out there and I would suggest that the governing body of the ITF go and listen to more ideas before heading down a path that could potentially kill Davis Cup. There is simply too much history and tradition at stake to make the wrong decision. “Davis Cup is an icon of world sport built on history and tradition. It has endured for over a century while other events have come and gone. 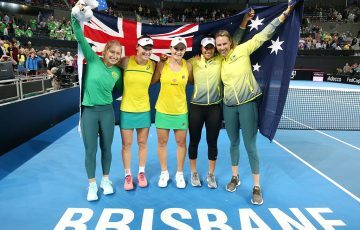 “Intrinsic to its longevity is the ‘home and away’ format which has impact and benefits beyond the playing of each tie and is a defining feature of Davis Cup. “Competing in front of a ‘home’ crowd stirs national pride and passion for our game. It raises important values about playing for something larger than oneself and affects the economies and culture of host nations. “Rising to the challenge of competing in front of a partisan ‘away’ crowd is intrinsic to its core. “Reducing the competition to a generic neutral venue and surface will destroy the heart and soul of this unique event. “While evolution is required it should be to the benefit of all countries involved and not just a financial opportunity. Change is logical and acceptable but if you turn a competition on its head, you lose the very definition of what makes it great. “The organisation responsible for the Davis Cup should have a mission statement which promotes the game of tennis locally and globally. “Ongoing issues affecting the competition, including the problem of attracting the top players can be addressed with determined lateral thinking from ALL stakeholders including the suggestion of providing a bye in the first round for finalists from the previous year. “The unique qualities of DC must be retained – home ground advantage, diversity of surface, partisan crowds and local conditions. “The proposed changes would create another international tennis competition…….but it will not be Davis Cup. “Neale Fraser and I had an interesting meeting at Wimbledon with ITF President Dave Haggerty and the President of French tennis. We wanted to find out exactly what their plan was for reforming the Davis Cup. At the finish I congratulated them on coming up with change as many of us former Davis Cuppers have been waiting 25 years for the ITF to act. I went on to say that unfortunately their plan is a recipe for the death of the Davis Cup as we know it. “The Davis Cup is 118 years old and was the forerunner that made tennis into an international sport. Their proposal will be voted on by all the ITF nations at the end of August and as much as I like Dave Haggerty I hope it gets defeated. “The Davis Cup is one of the greatest competitions in the world in any sport and they are trying to crucify it by having it over one week. They may as well throw the ball up in the air and see where it lands to decide a winner. “It was always an honour and privilege to play Davis Cup. The ties I played in for Australia, both at home and abroad, remain among my most cherished tennis memories. “I want players from all nations to continue to enjoy similar feelings when they represent their countries. “I have great concerns for the long term future of the Davis Cup. “Davis Cup holds some of the greatest memories of my career and I have grave concerns with the current proposal. Administrators are making decisions against the will of the players – who are not against change – but the lack of transparency and information on the business model and logistics is extremely worrying. “In this process already announcements have been made and media releases have been issued, only to be altered and changed due to lack of support.